What features resonate with you? Are you drawn to homes with extra storage space, bright open floor plans, and hardwood floors? At Main Street Homes we know what families are looking for and we take pride in offering the best designed homes for sale in Richmond VA. We pay close attention to detail and listen to you as we go! You even have the opportunity to select finishes for your cabinets, floors, counter tops and more from our Design Studio. Here’s a sneak peak at some of the top value retaining features in new homes. You’ll find all of these present with Main Street Homes so you can rest assured you’re making a lasting investment. Modern Kitchens – The latest in cabinet construction and finishes, lighting, walk-in pantries and more! You’ll find ample space to cook, eat, or just gather. From kitchen islands and adjoining breakfast rooms, our kitchens are designed to live in! Bathrooms – From spacious master en suites to convenient guest powder rooms, nothing should be spared in a room you (and everyone in your family) will be using daily! Master Suites – A space all your own is what you’ll find in our well-appointed owner’s bedroom. With room to lounge, large walk-in closets and private baths, there is nothing left wanting in your personal retreat. A Bit of Nature – There is something about the shine of hardwood floors and the clean finish of granite counter tops. 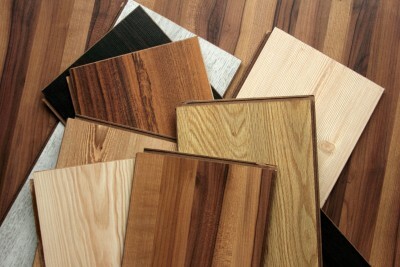 These natural materials bring class and comfort making our new homes for sale in Richmond VA both timeless and modern. Flex Space – Having room to grow is priceless. In our home designs, it’s included! Many of our plans have optional bonus rooms, media rooms, finished basements, room for your home office or study, even additional master suites excellent for teenagers, guests, or grandparents! Curb Appeal – How many homes have you driven by and eliminated as a choice just from their outer appearance? First impressions have value! Not only will your new home be finished all the way out to the sod and shrubbery, but you’re joining neighbors who care about their investment and understand just how important those first impressions are when it comes to maintaining curb appeal and your home’s value. Come see for yourself the difference in Main Street Homes’ plans and communities. Tour our model homes and let our professional Realtors and Design Consultants help you create the perfect place to come home to! This entry was posted in Buyer Tips, Design Tips, Home Tips, Lifestyle Tips, Selling Tips, Storage Tips and tagged builders in richmond, homes for sale richmond, homes for sale richmond va, Houses Richmond Virginia, main street homes, new home neighborhood, new homes builder richmond, new homes for sale, new homes for sale in richmond va, new homes for sale near fort lee, New homes in richmond va, new homes near richmond, new homes new kent, new homes richmond, richmond houses for sale, richmond va homes, richmond virgini, Richmond Virginia, richmond virginia homes. Bookmark the permalink.